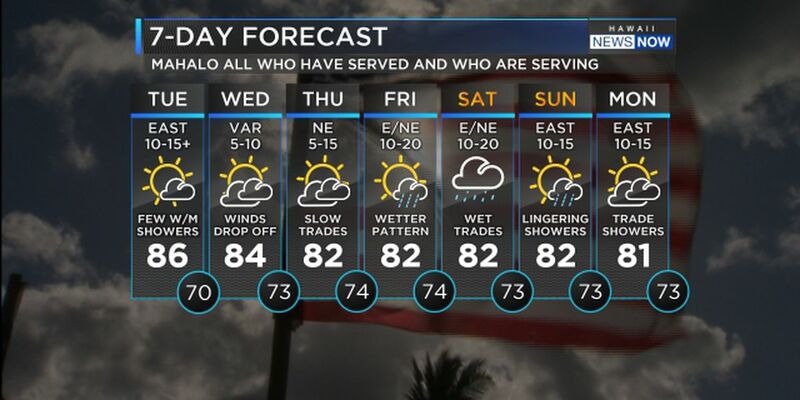 Expect refreshing trade winds into Tuesday before they begin to slow down on Wednesday. Winds will remain slow through Thursday before they ramp back up by the end of the workweek into the weekend. 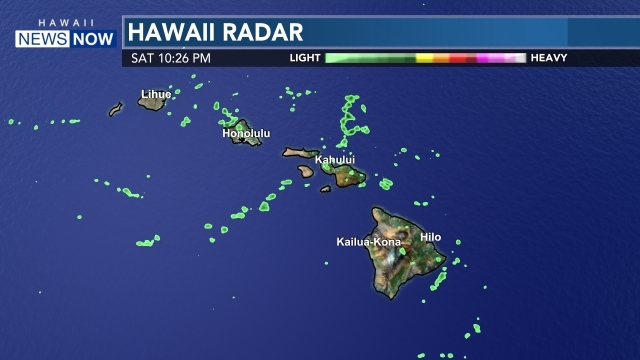 Right now, there is a fairly stable air mass with just a few passing windward and mauka showers. We are expecting a front and upper level disturbance to pass close to the state by Friday that may bring us enhanced showers. Let’s talk surf! A new north-northwest swell with a height of around 7 feet and a period of 14 seconds will be on the rise Tuesday. Surf heights are expected to reach advisory levels around Tuesday afternoon and peak Tuesday night into Wednesday. 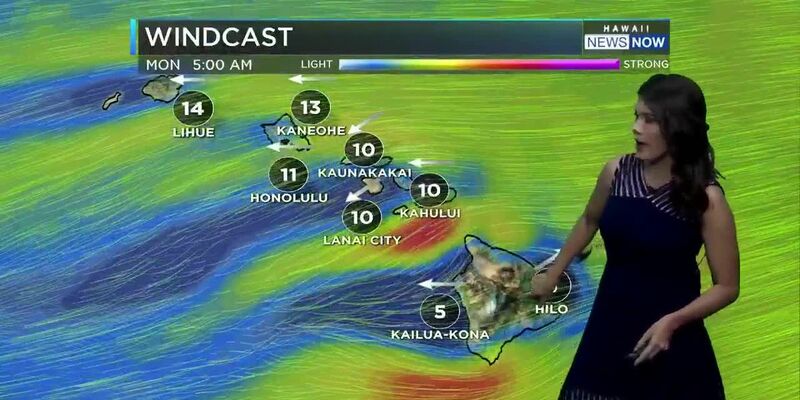 A reinforcing northwest swell with similar size to Tuesday’s one, is expected to reach our island shores early Friday, peak midday Friday, followed by a gradual decline through the upcoming weekend. Small background south and southwest swells will support small surf continuing through the week along south facing shores.